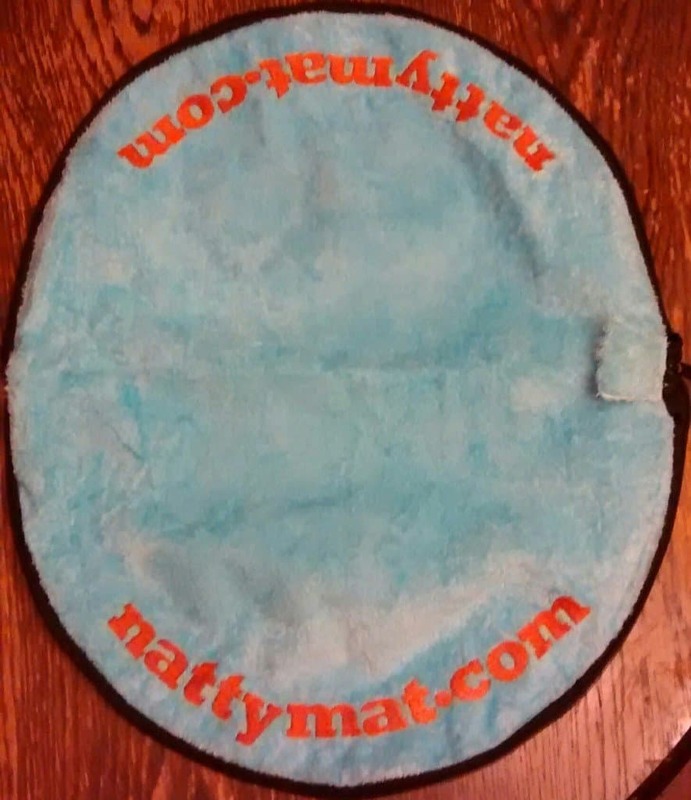 This has been a fascinating product to test, for the simple reason that NattyMat kindly provided me with two of their mats to review. Of course, hubby instantly claimed one of them, so we have a sort of his and hers review going on. Since the mats arrived yesterday, each of us has been swimming once on our own and we have also swam with the kids, so they have been well and truly put through their paces by us all. Firstly let me tell you about the product. It is designed for standing on when you are getting changed at the gym or swimming pool to keep bacteria away from your feet. You unzip the mat and stand on the soft side of it, with the waterproof side against the floor. The soft side is bamboo, so using it after swimming means that your feet dry off by the time you’ve got changed without standing on your towel. It also soaks up any drips, but more about that later. 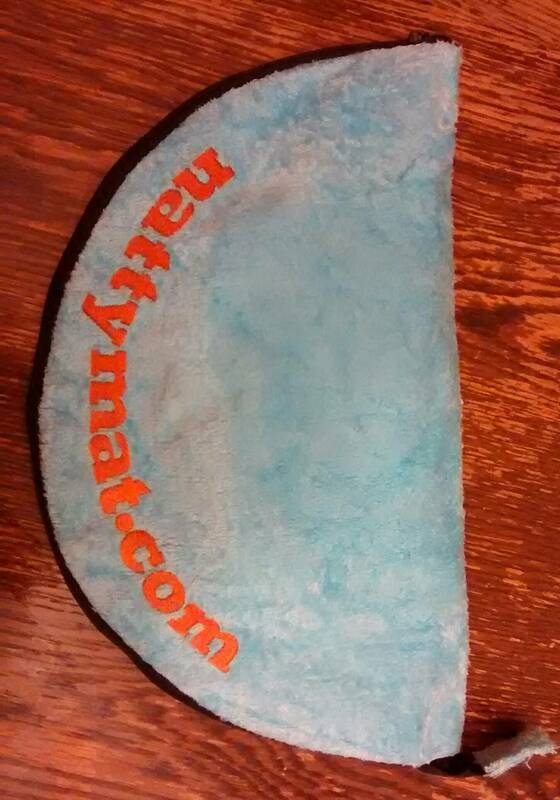 So, when you’ve got changed, you put your wet swimming costume / trunks / towel / swimming hat / goggles onto the middle of the waterproof part of the mat. Zip it up and you’ve got a waterproof bag to keep your wet kit away from your dry kit. Genius. So here are our respective thoughts on the mats. As a consequence, we now have a NattyMat hanging in our bathroom for standing on when we get out of the shower. Which makes sense, we’ve never been keen on bath mats because they get a bit manky and unhygienic, but the NattyMat is much easier to wash. That said, hubby also took it swimming with him, he couldn’t quite resist. I love it for after swimming. I love that my feet are dry by the time I’ve got changed and it doesn’t matter if the floor is a bit mingy because I’ve got somewhere clean to stand. I also love that I can put my wet costume and towel in it so that the rest of the stuff in my handbag doesn’t get soaked. I am a huge fan of bamboo for its absorbent properties, we have always used bamboo reusable nappies and no others come close in terms of how absorbent they are. I also love that NattyMat are ethical in terms of the environmental process of growing and harvesting bamboo. Many much larger companies could learn a lot from them. I ended up using the mat as a changing mat for Lia today as there were none in the changing rooms at the pool. She seemed quite happy on it although it’s obviously not padded as it’s not designed as a changing mat. Please note, we were sent two NattyMats free of charge for the purpose of an honest review. All views and opinions are mine or those of my family. I can vouch for my own honesty and hubby’s [he is a terrible, terrible liar]. Libby seemed quite genuine, Lia on the other hand can’t be trusted so please feel free to ignore her views.